Obtaining a Mortgage Pre-approval Kansas City is the first step before you start house hunting. We never charge a fee to get pre-approved for a mortgage. Below, we explain everything you need to know about the mortgage qualification process. Real estate agents will be more willing to work with you. They will know you’re pre-approved and ready to buy. Helps you identify any problems you may have. For example, too much debt, a low credit score, etc.. It gives you time to correct them as needed and obtain the lowest mortgage rates. You’ll save time by only looking at real estate within your purchase price range. You can make an offer the same day you find the perfect new home. Sellers will take you seriously. And are more likely to accept your offer over another home buyer who is not. This gives you more negotiating power. The seller can expect fewer delays with your offer. Thus, making your offer more attractive. Get the best Interest Rates and loan terms, with simple credit report improvements. We will review your income information, assets, and credit history. This will determine the size of a loan you can afford based on your debt-to-income ratio. Last two months Bank Statements (all pages) for checking and savings accounts to reflect enough funds for your down payment. Depending on your personal situation other items may be required. Your Loan Officer will guide you through each step of the loan process. We can issue your pre-approval letter within one business day. Your Pre-approval Letter will be emailed. It will also include an Initial Fee Worksheet (IFW). The IFW will include a mortgage loan estimate of your monthly payment. It will also include the amount needed for closing. Mortgage Pre approval How Long Does it Last? The most common question we receive is “Mortgage pre-approval how long does it last?” Typically, the mortgage pre-approval Kansas City letter is good for 90 days to 120-days. This is based upon the date the credit bureaus are pulled. To extend the expiration date of the pre-approval letter is simple. We will need to re-pull credit, obtain updated pay-stubs, and bank statements. Mortgage qualification differs from a pre-approval in that mortgage qualification is a verbal assessment of whether your debt-to-income ratio fits program guidelines for home loans. It also provides a general estimate of how much you may be able to borrow. Pre-approval, on the other hand, involves the same steps as a mortgage application. You’ll provide detailed information about your income and assets that will be reviewed by an automated underwriting system (AUS). 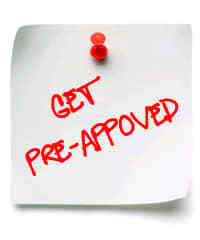 If pre-approved, you’ll get a pre-approval letter for a specific loan amount and term to repay the loan. Does Pre-approval Affect Credit Scores? When a mortgage lender does a credit check, it is a hard inquiry. However, the impact to your credit score is usually less than 5 points. When a credit inquiry has a greater impact on your credit score is when you have already applied for multiple types of credit. For example, a home loan, auto loan, credit card and installment loan. The FICO models allow you to inquire with multiple lenders within a 30-day period and count as one inquiry. What Qualifies you to be a First-time Homebuyer? If you’ve never owned a home, you are considered a first-time home buyer. You are allowed to be a previous homeowner and still qualify as a first-time home buyer. You can do so if you have not been an owner in a primary residence for at least three years leading up to your purchase. Click the application link below to get mortgage pre approval fha. As apart of the mortgage process a debt-to-income (DTI) ratio is used to determine mortgage qualification. The DTI is all your monthly debt (Auto, credit cards, student loans, etc.) plus the new total monthly house payment divided by your gross monthly income. This number is how lenders measure your ability to qualify. Typically, the max DTI is 45% but in some cases can be as high as 57%, dependent on the loan program. Get the best mortgage pre approval online with our quick 5-minute loan application. The mortgage application will cover basic personal information such as residency, employment history, social security number, contact information, and bank account information. Mortgage pre-approval Kansas City is not a loan approval and your loan will need to be underwritten before receiving a final loan commitment.